March Cataract Falls is the premier waterfall of Mt. 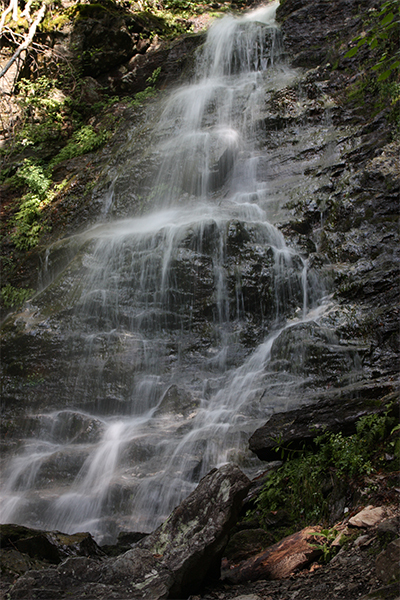 Greylock State Reservation, and one of the must-see waterfalls of northwestern Massachusetts. The falls is a continuous 30-foot fan of water dancing down the western slopes of Mt. Greylock. The trail allows you to safely come within inches of the falls, making this an intimate place. Though it is considered a seasonal waterfall, as it can be reduced to merely a trickle during the dry summer months, it does not take much water to reveal the true beauty of this place. 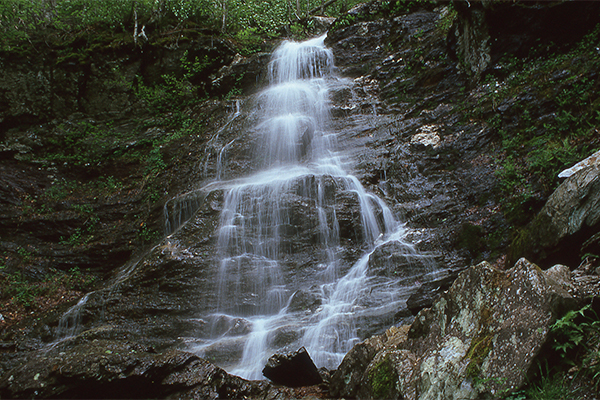 There is more to explore in the state park, including Deer Hill Falls, which is described below, Money Brook Falls, and the summit of Mt. Greylock. All of these attractions are accessible from various points along the main road through the state reservation. At the summit of Mt. Greylock there is a paved parking area ($5 parking fee for MA residents, $10 for non-MA residents in 2017; cash only) and a short walk to beautiful views of several New England states as well as New York. For those looking to do some remote camping, you can backpack into Sperry Campground, which lies between Deer Hill Falls and March Cataract Falls. Refer to the Mt. Greylock State Reservation website for more information on this excellent camping opportunity. 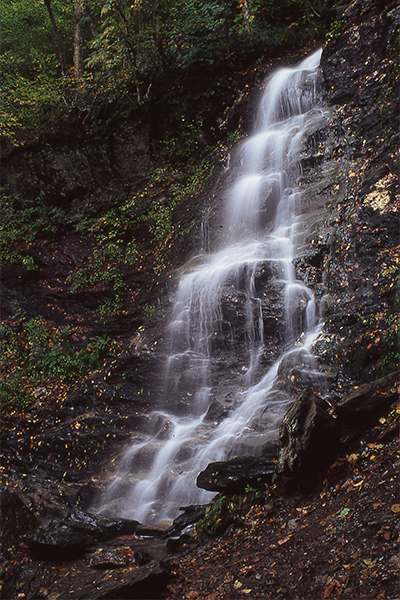 Most hikers who visit March Cataract Falls also supplement their hike by visiting nearby Deer Hill Falls. If you would like to visit this 60-foot-tall, steep, seasonal horsetail, return back to the fork near the ranger station on Sperry Rd. This time, take the left fork. In 200 feet, take a left and walk past a few campsites and pit toilets, all the while following signs towards the Deer Hill Trail. After walking a few hundred feet, bear right onto the blue-blazed Deer Hill Trail and cross a wooden bridge. In 40 feet, you need to fork right at the next junction and continue hiking for about 0.2 mile. You will then reach another fork. Fork left here and follow the Deer Hill Trail as it descends steeply and with rough footing down to the base of the falls. Exploration around the base of the falls is limited due to unstable shale rock. Starting from the campground on Sperry Rd, there are signs at all significant trail junctions to help guide you in the right direction towards Deer Hill Falls.